Join us in celebrating the addition of the Bethany Library Annex, coming in spring 2019. Make a gift—to fund furniture, plumbing and interior improvements. Volunteer—Help is needed in all areas of the library. Tell your neighbors about this important community building project. 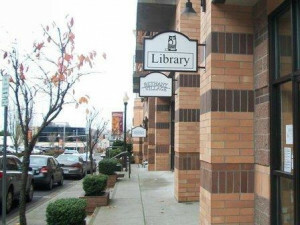 Having an additional 1,500 square feet of event space will allow Bethany Library to offer more programs and services to community members of all ages. Best of all, it will reduce congestion at the existing branch until a larger library can be developed. Our community is growing and the Library must expand to serve the growth. Eleven years after opening, demand for Bethany Library services in our rapidly growing community greatly exceeds the small branch’s capacity. Plans to move the branch to a larger space in the proposed Bethany Plaza development are postponed due to delays in the new project’s timeline. The result is an underserved community and missed opportunities for our residents to learn and connect.